In this week’s 101 session, we’ll be covering Condo Association Committees. What do they do? How do you use them? Where do babies come from? Scratch that last one, wrong blog. Your Committees are typically outlined in the bylaws of your Association. They are, as you would expect, bodies that advise and support the Board in its activities. Since an Association is made up of volunteer members, and some Owners want to be involved without being on the Board, Committees provide an outlet for participation. They also mean more involved Owners, which is always a good thing. Of course, the number and size of Committees is dependent on your building. A 20-unit building likely will not have many large Committees – or may not have any at all. A larger Association might have many active Committees. Your condo association committees will hopefully be more productive than their congressional counterparts. What Types of Condo Association Committees are There? Architectural control – supports the Board in ensuring that the building maintains a uniform appearance to protect property values. Finances – supports the Board from an accounting and budgeting perspective. Social – responsible for events and activities that promote a better community, such as parties, administration of amenities (if applicable), book clubs, etc. Communications – facilitates correspondence and communication, such as a resident newsletter, message boards (virtual or physical), etc. Facilities – planning and maintenance for physical facilities, such as sports courts, pools, party rooms, building signs, etc. How Can a Board Effectively Use Condo Association Committees? This is the key management challenge for Board members. Boards must empower committees to do good things for the Association and community, but they also need to keep them on track and make sure they’re spending their time effectively. That means, you guessed it – someone has to manage them (queue horror music). I recommend having a formal liaison to each of your Committees from the Board to ensure they are on track, and develop a system for prioritization. The last thing you want is the Committee racing off on a project that’s neither funded nor a priority, and then becoming disappointed and bitter when the Board takes a pass on the project. Remember – the actions of a Committee are implicitly endorsed by the Association, so they must be managed. Good communications and good management are key. Committees are also a great way to scout for talent in future Board members. How and Why Should Owners be Involved? Committees are a great way to contribute to the Association without the full overhead of being on the actual Board itself. You can focus on things you like and care about – maybe you enjoy writing and want to make a resident newsletter, but you lack the time or interest of being on the full Board. Keep in mind that as an Owner on the Committee, you are subordinate to the Board – it isn’t going to be carte blanche to run around doing your own thing – or if it is, your Board is doing a bad job. By their nature, Committees do work that is not important enough for the Board but needs to get done. This means that at times, you’re going to be waiting for your Board to make a decision on your work. You’ll need to be patient with your Board as a Committee member and remember that they (hopefully and ideally) are balancing many priorities. Overall, having active Committees is healthy for an Association. You get more people involved – who will, in turn, get other people involved, which means a healthy and involved Association. Boards need to make sure they set clear priorities for Committee members and make decisions that support Committee work in a reasonable amount of time. 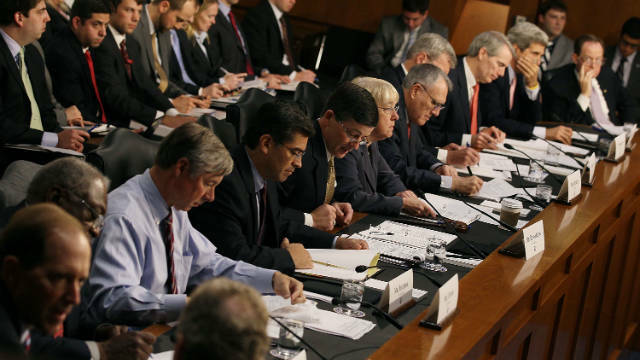 Committee members must work within the bounds set by their Board and be patient. Working together, you’ll see a good relationship that fosters a better Association.